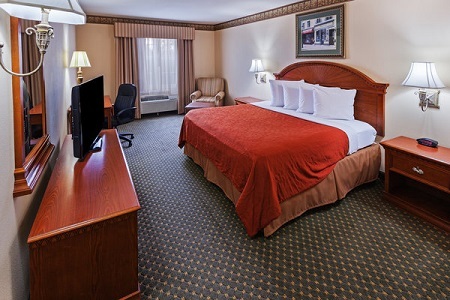 Ease off the highway at Exit 64 and into the parking lot of the Country Inn & Suites® by Radisson, Amarillo I-40 West, TX, where you can enjoy comfortable accommodations that feel like home. Situated just five minutes from the Amarillo West Medical Center and near Westgate Mall, our hotel is an ideal spot for families and groups touring the Texas Panhandle area. 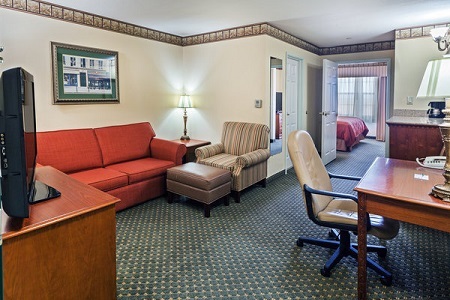 Settle into one of our rooms or suites, which offer amenities like free high-speed Internet access and a 40-inch LCD TV. Pet-friendly accommodations are also available. Our complimentary, hot breakfast helps you start your day the right way every morning. It includes eggs, waffles, biscuits, yogurt, fruit and more. Rekindle romance with someone special when you book our Whirlpool Suite, featuring a king bed and an in-room whirlpool for two. Choose from an array of breakfast choices every morning at our complimentary, hot breakfast. Slather some butter and syrup on a toasty Belgian waffle, or opt for a lighter breakfast of yogurt and fruit. Other items include eggs, biscuits, coffee and juice. When you’re hungry for lunch or dinner, explore nearby restaurants like Ruby Tequila’s Mexican Kitchen and Logan’s Roadhouse. American Quarter Horse Museum – From the massive bronze sculptures to the hands-on exhibits, this museum is a treasure trove of firsthand information about quarter horses. Located about 10 minutes east of the hotel, the museum also boasts many paintings by Orren Mixer. Don Harrington Discovery Center – Drive less than five minutes northeast to explore 8,000 square feet dedicated to science, space and imagination. Scientists of all ages can roll up their sleeves and start learning about critters, engineering, planets and perception. Westgate Mall – Do some shopping at one of the area’s largest retail complexes, about a mile from our hotel. You can stop by department stores like Sears or browse fun shops like the Dallas Cowboys Pro Shop and Goody’s Gourmet Popcorn. Host successful meetings, seminars or special events with our hotel meeting facilities, which can accommodate up to 50 attendees. 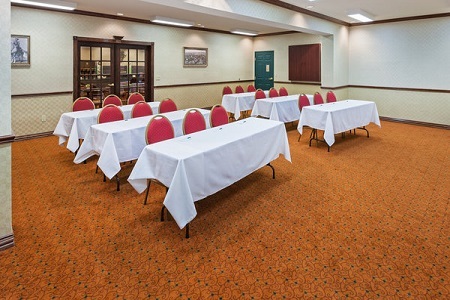 A location just off I-40 and top-notch amenities like free high-speed Internet access make planning events a breeze. 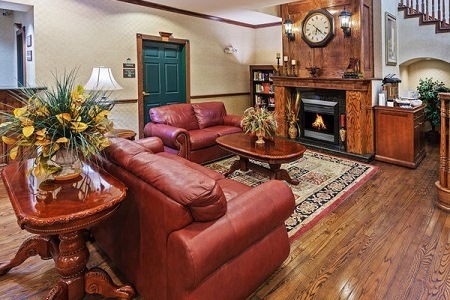 Enjoy other perks like a personalized Country Inn & Suites Web page, refreshments and audiovisual equipment rental.